Our mission lies in our brand name- we are the leaders amongst the Broadband service providers in India who focus on YOU, our customers. The internet is what drives today’s society. People now require high-speed internet for almost every task, which is why data connectivity has become a necessity. If you are looking for a reliable internet service provider in Mumbai and across India, contact YOU broadband. We offer attractive packages coupled with excellent services for you. 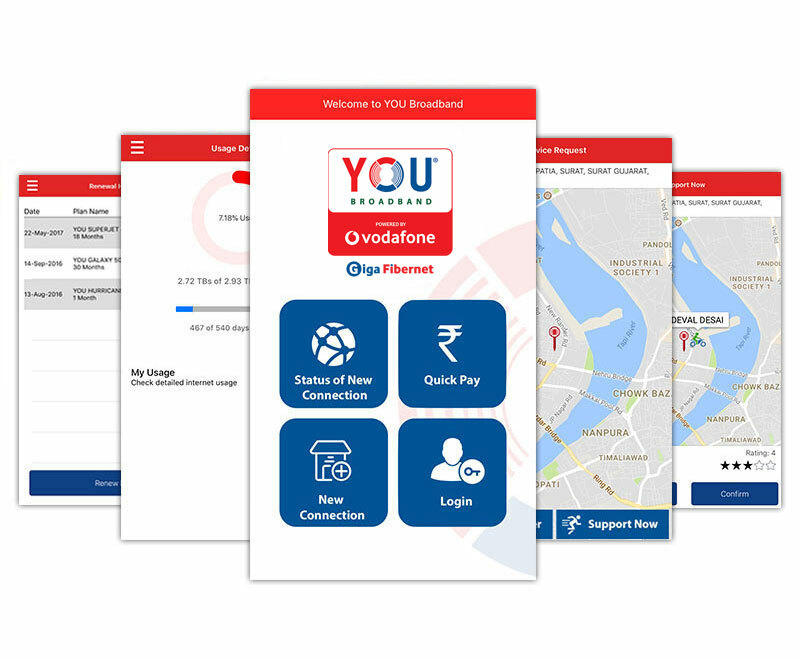 As a subsidiary of Vodafone Idea Limited, YOU Broadband has progressed as a category ‘A’; high-speed internet service provider and India’s foremost ISO credited broadband service provider with 18 years of experience. For me speed matters a lot as I run a computer education institute. With YOU I got the speed that I was looking for. There is no doubt that YOU is better than my previous service provider. YOU Broadband attends to my concerns immediately and resolves them quickly...something that I did not experience with the other ISP's whose services I had opted before. The Internet is a major source of information that we consume today. Whether for a school project, an office work, entertainment or a video call to your loved ones across the Globe, high-speed internet is the need of the present and the future. YOU Broadband is committed to being the best internet service providers in India by providing ultra-speed, reliable connection and efficient services to our customers at an affordable price.